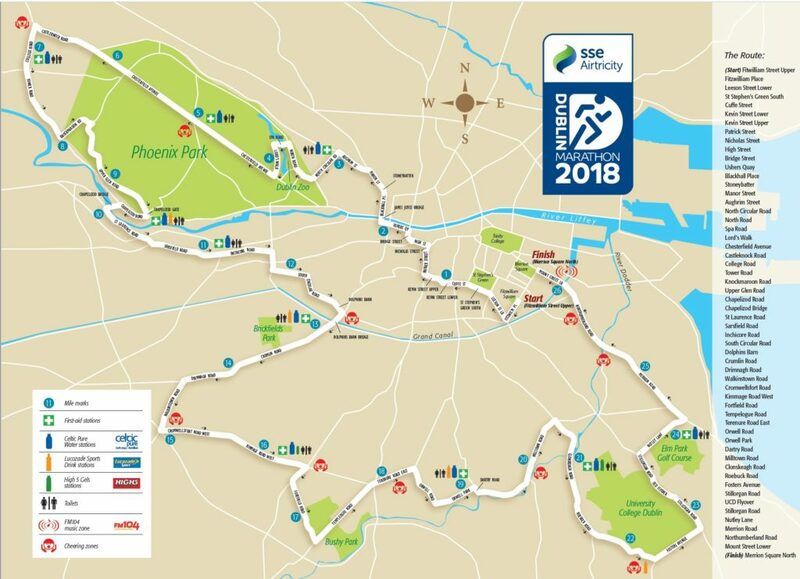 Gaelcon falls on a busy weekend for Dublin – not only is it a bank holiday, but there’s an increasingly popular marathon which runs through the city on Sunday 27th – so it means that hotel prices go up. To help keep your wallet willing and able for buying drinks at the con, we’ve put together a few cheaper accommodation options below. No matter where you decide to stay, keep in mind that the Landsdowne Road DART station is 5 minutes away from the con, so anywhere along the DART will make getting there really easy. It also means you won’t experience any disruption during the marathon or if bus strikes fall on that weekend. I’d recommend sticking to the south side which would mean you could walk back if you decide you don’t want to leave the con before public transport shuts down. There are budget hostels everywhere in Dublin city centre. One site to check out is HostelWorld, which makes it really easy to find a both hostels and discounted hotel rooms. The Kildare Street Hotel for example (as of writing) has rooms for €30 per night and is just a 20 minute walk away from the con. Trivango is your best bet for discounted hotels, but sites like booking.com and laterooms might be better if you’re doing a late booking. It’s going to be the priciest option you have available to you though, but if you want comfort, why not. If you want to find the fastest and cheapest way to get from any location to the con, I would recommend checking out hittheroad.ie. If you want to open the location in Google maps click here. Lansdowne Road Dart station (beside Aviva Stadium) is a five minute walk away, and operates every 15 minutes daily. Bus numbers 4, 7 8 or 27x will take you from O’Connell St to Northumberland Rd. To get back into the city centre, get the 4 or 8 on Pembroke Road (across from the hotel). On the Saturday and part of Sunday this might not be an option, due to the Bus Strikes and the marathon. The nearest Dublin bike stop is at Herbert Place and is a 11 minute walk away from the Con. You can get a 3 day ticket for €5 at these terminals or a yearly subscription for €20, and the first half hour of every journey is free. They also now accept leap cards. There is a taxi rank to the right of the hotel entrance on the corner of Lansdowne road. Keep in mind that if the bus strike goes through on Saturday, there won’t be so many taxis available. What’s this about the marathon? There’s a marathon running through the city on the Sunday, starting in the morning and returning to normal in the afternoon. The first thing to remember is don’t panic! And make sure to bring your towel. As you can see, Gaelcon is enclosed by the marathon. So what should you do? The Lansdown Road DART stop is just around the corner from the con, and is completely unaffected by the marathon. However, be aware that Dart services will not be operating over the October Bank Holiday weekend between Dublin Connolly and Grand Canal Dock stations. Dublin Bus will be accepting rail tickets on the Number 1 bus between Grand Canal Dock and the City Centre if you are making use of it. Dublin bikes is another good option, since they will usually allow you to cross the marathon path (above) when there are no runners present. But if you need to cross the marathon path at the wrong place and time you might find yourself waiting for a while! The buses will be running, but if they are meant to cross the marathon path some of them will be disrupted. See this page to find out if your route is impacted, and have ctrl+f at the ready. Hailo and Uber are an option, but only if you can avoid the route above. On the upside, there’ll be hardly any traffic within the route thanks to the city mostly being shut down. Due to engineering works taking place between Connolly and Dun Laoghaire and Bray and Greystones the following services arrangements will apply; Saturday 27th and Sunday 28th October. No DART service will operate between Dublin Connolly and Dun Laoghaire, intermediate DART stations will be closed. Due to engineering works between Bray and Greystones the following service arrangements will apply; Line is closed between Bray and Greystones – DART’s will operate to and from Bray only. Bus transfer will operate to/from Bray and Greystones. Rosslare services will operate to and from Dublin Connolly to Bray with bus transfers from Bray to Greystones. The service will then resume by train from Greystone to Rosslare. The Luas Green Line and the Luas Red Line Tallaght – Connolly / The Point will run as normal on Sat 27th & Sun 28th Oct. Luas will run a Sunday service on Bank Holiday Monday, 29th Oct. There will be a temporary partial closure on the Red Line from Saggart to Belgard on Sat 27th, Sun 28th & Mon 29th Oct.